Somewhere around the time the story of The Magnificent Ambersons closes — Booth Tarkington was a little hazy on dates — George Orson Welles was born, on May 6, 1915, in Kenosha, Wisconsin. 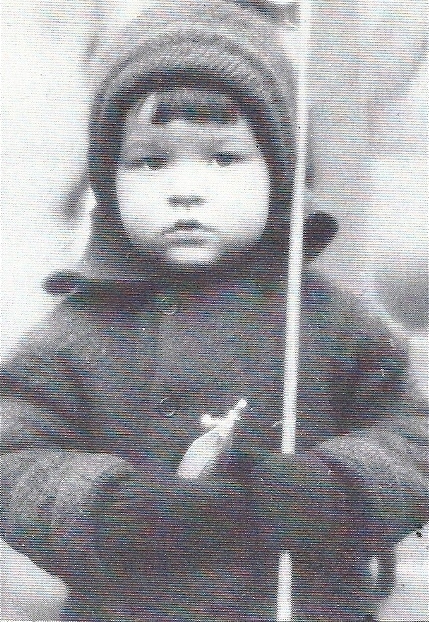 This is how little Orson looked when The Magnificent Ambersons was published in 1918. In other remarks and interviews, Welles went even further: His father, Richard Head Welles, was Booth Tarkington’s best friend. Welles Sr. actually invented an early automobile, but didn’t carry it any further because he couldn’t see any future in it. I wasn’t able to find references to any of these assertions until years, even decades after Welles’s movie of Ambersons. Then there’s the fact that Orson Welles had a penchant for, well, making things up, especially when he was talking about his father; a 1963 monograph by Maurice Bessy includes a highly amusing load of malarkey about Orson’s father, obviously gleaned from Orson himself. (“Seventy-five percent of what I say in interviews,” he once warned, “is false.”) In fact, other than Orson’s say-so, there’s no evidence that Tarkington and Richard Welles ever met. It’s not entirely out of the question; Richard does appear to have been acquainted with George Ade (another Hoosier writer and contemporary of Tarkington’s, less famous in their day and even more forgotten than Tarkington now). But “best friends” with Tarkington? Unlikely; certainly Orson never said anything about it before 1946, when Tarkington would have been around to weigh in on the subject. As for inventing the motorcar, the closest Richard Welles ever got to that was acquiring a patent for an automobile jack in 1904. It may be somehow significant that in Orson’s telling, his father becomes something of an amalgam of Eugene Morgan and George Minafer — inventing a car on one hand, deciding it would never amount to anything on the other. If The Magnificent Ambersons had really loomed so large in his family history, it would have seemed logical of Welles to choose Tarkington’s novel for his first movie, but of course he didn’t. In fact, Ambersons wasn’t even the first choice for his second. Welles always had more ideas percolating in his head than he could ever follow up on, especially in the first flush of his carte blanche contract with RKO — Cyrano de Bergerac; a Life of Christ set in the American West the way Renaissance painters used to portray Biblical scenes in Renaissance settings; Conrad’s Heart of Darkness; a life of Henri Landru, the French serial wife-killer (this idea Welles eventually sold to Charlie Chaplin, who turned it into Monsieur Verdoux); Nicholas Blake’s novel The Smiler with a Knife; Arthur Calder-Marshall’s The Way to Santiago, etc. Eventually, Welles settled on two nearly simultaneous projects to follow Citizen Kane for his Mercury Productions unit at RKO (typically, several others would simmer on back burners for later consideration), both of them adaptations of best-selling novels: Eric Ambler’s Journey into Fear and The Magnificent Ambersons; Welles would produce and act in the former, write and direct the latter. Besides these, there was another pot on the stove: Pan-America, an episodic picture that would eventually morph into It’s All True. This pot would at length boil over, with a resounding effect on Ambersons. In fact, it was already having an effect — Welles delayed the start of production to fly off to Mexico to consult with Norman Foster, who served as Orson’s on-the-spot “co-director” shooting Bonito the Bull, one of Pan-America‘s episodes. Oh, and I almost forgot — there was also his weekly radio show for Lady Esther Cosmetics. In light of what came later, it’s important to remember that from the outset, The Magnificent Ambersons never had Orson Welles’s undivided attention. Not that this was anything new; at this stage of his career, divided attention was Orson Welles’s modus operandi. In New York he was famous for keeping busy enough for three men, shuttling back and forth between the stage and radio, even keeping an ambulance on call to ferry him from one live broadcast to another, siren blaring. Now in Hollywood he was doing the same thing, stretching himself as far as Mexico for the Bonito jaunts; even on a slow day he’d be hopping from Ambersons to Journey into Fear and back, sometimes dictating his direction onto phonograph records when he wouldn’t be on the Ambersons set in person. No wonder he thought he could do anything, he’d been doing it so long. Whatever Welles might have said regarding “family assumptions” about his father and Booth Tarkington, his first experience with The Magnificent Ambersons (that we know of, anyhow) was a dramatization aired on his Campbell Playhouse radio show on October 29, 1939, exactly 52 weeks after his notorious War of the Worlds. Welles narrated the production and — cranking his voice up to an adolescent whine — played George Amberson Minafer. Guest star Walter Huston was Eugene Morgan (sounding old enough to play Major Amberson, a character dropped from the adaptation), while Nan Sunderland (Mrs. Huston in real life) played Isabel Minafer. Ray Collins was Uncle George Amberson, the name changed to Fred to avoid confusing the listening audience, and Marion Burns was Lucy Morgan. Other roles went to Eric Burtis, Everett Sloane, Richard Wilson and Bea Benaderet. Conspicuous by her absence — at least to anyone familiar with Tarkington’s novel — was the character of Fanny Minafer, and she left a much bigger hole than Major Amberson. The Major’s main contribution to the story occurs before it starts, and most of what he does and says in the course of the novel can be transferred to Uncle George/Fred. (Welles would do exactly that in the movie, mainly because the aging Richard Bennett, though he was Major Amberson to the life, simply could no longer remember lines.) Fanny’s presence, on the other hand, is all but indispensible. It’s her unthinking mischief that sets Georgie on the course that will drive his mother to an early grave; it’s her reckless enthusiasm that sends the last dribbles of Amberson money down the drain with her own; and it’s her pathetic helplessness that draws out Georgie’s better nature and sets him on the road to redemption. The Campbell Playhouse Ambersons is a solid piece of radio drama, but listening to it is like watching a wagon limp by with one wheel missing. Anyhow, awake or asleep, Schaefer approved Ambersons to proceed, alongside Journey into Fear and the still-percolating (and partially shooting in Mexico) Pan-America — but with a renegotiated contract for the Mercury Productions unit. The battle with Hearst over Citizen Kane was still raging, and the RKO board pressured Schaefer to rein Welles in; gone was the free hand and final cut Welles had enjoyed on Kane, and the budget for Ambersons was capped at $600,000. Welles signed, with a confidence he would come to rue. On Ambersons, Ray Collins was set to repeat his Uncle George/Fred role from the radio show (renamed again, to Jack). 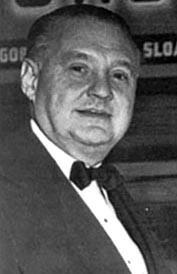 Stage and silent screen veteran Richard Bennett (father of Constance and Joan) was Major Amberson, Dolores Costello (silent star, ex-wife of John Barrymore and grandmother of Drew) was Isabel Amberson Minafer, Joseph Cotten was Eugene Morgan, and 18-year-old Anne Baxter was Morgan’s daughter Lucy. For the crucial role of Aunt Fanny, Welles tapped Agnes Moorehead, who had played his mother in Citizen Kane; in Ambersons, only her second picture, Moorehead would give the performance of her long and distinguished career — but more of that later. The other crucial role, of course, was George Amberson Minafer, the role Welles himself had played on radio. Already almost overextended, Welles opted not to spread himself thin enough to play the part again — and I say “thin enough” pun-intended: Welles later said he had grown “too fat” for the part, having given up the do-or-die weight control he undertook during Kane. 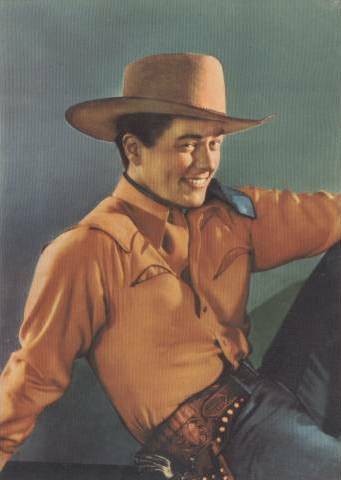 Instead he cast 22-year-old Tim Holt, perhaps on the strength of Holt’s brief role in Stagecoach (which Welles called his “bible” of moviemaking, and said he had screened over 100 times). 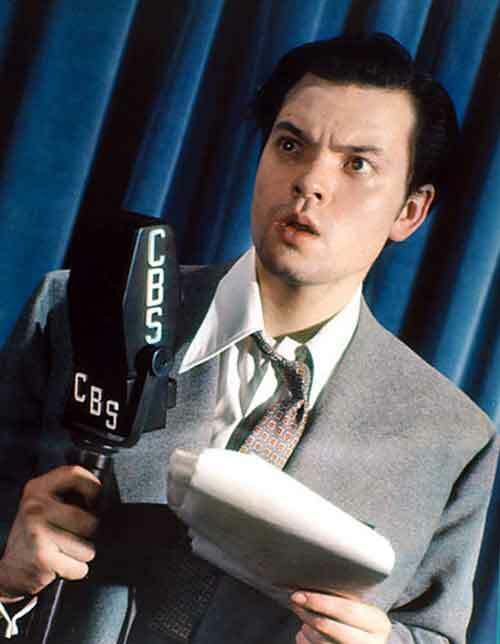 Welles was probably wise not to play Georgie himself; his radio performance reaches a pitch of squealing hysteria that would be hard to stand at feature length (indeed, Holt himself would have a tough reception from audiences — more of that later, too). Holt may have been most familiar as a star of B-westerns, but he had ventured into A-pictures (Stella Dallas, History Is Made at Night, Swiss Family Robinson, Back Street), and he came to Ambersons one of its more seasoned players — only Dolores Costello had him decisively outgunned on that score. Before Ambersons, Collins, Moorehead and Cotten had only Kane to their credit (plus a handful of shorts for Collins). Baxter had appeared in four features. Holt had made twenty-nine. Welles biographer Simon Callow says Holt was less-than-ideal casting — “stocky, plebeian in manner, sulky and impetuous.” Callow has a point. Tarkington says, “George’s imperious good looks were altogether manly, yet approached actual beauty as closely as a boy’s good looks should dare.” There was probably only one actor in 1941 — or ever after — who could have played Tarkington’s George Minafer: Tyrone Power. Power had the beauty, and for such a popular star his roles often had more than a touch of the cad. But if Welles ever considered him for Georgie — and evidently he didn’t — the idea was a non-starter; RKO wasn’t about to pay for him and Darryl Zanuck wasn’t about to lend him out. Moreover, I think Callow does Holt an injustice; I’ll get to that too. Principal photography began in late October 1941 with the dinner table scene where Georgie denounces the automobile and deliberately offends Eugene Morgan. All things considered, the shoot went well. But there were things to be considered. For one thing, Welles lost cinematographer Gregg Toland, his most valuable and stimulating collaborator on Kane, when Toland enlisted in the U.S. Navy’s photography unit. 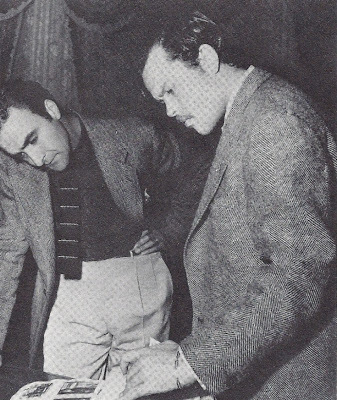 A last-minute replacement was Stanley Cortez (shown here with Welles). Cortez proved to be an inspired choice, but his slow, methodical style contrasted sharply with the swift, no-nonsense Toland and caused Welles no end of frustration. Then there was Welles’s idea of having his cast pre-record their dialogue, lip-synching to playback on the set like singers in a musical. The idea, he said, was to keep actors in touch with the dialogue as they first read it, without camera-induced self-consciousness — plus it would (theoretically) free the camera from worries about boom mikes in the frame, wobbling sound levels and the like. All in theory — but it proved a disaster in practice; if anything, the actors were even more self-conscious, trying to match lips with readings laid down long before. The idea was eventually abandoned, but like most of Welles’s ideas it died hard (he tried it again later for Macbeth over at shoestring Republic, with far more success). When cast and crew adjourned to an ice house in downtown L.A. for the winter outing sequence — George and Lucy in his sleigh, Eugene, Isabel, Fanny and Jack in Eugene’s horseless carriage — the stocks of frozen fish were cleared out of camera range and a Currier and Ives landscape created by feeding massive blocks of ice into crushers to make real snow. The oil froze in the camera. The 500- and 1000-watt arc lights shattered in the cold — or when they didn’t, the heat from them melted the snow. The director wasn’t always there — this was where he sent his direction to the makeshift set on phonograph records. Once again Welles’s lip-synching idea came a cropper; ultimately, all the dialogue had to be post-dubbed. Through it all the cast and crew huddled and shivered, breathing through their mouths to lessen the overwhelming stench of frozen fish. Ray Collins came down with pneumonia. But in the end it was worth it. So was the time — nine ten-hour days — and effort — a crew of nearly 100 grips and gaffers — required to shoot the ball at the Amberson mansion that opens the picture. Welles’s actors and Cortez’s camera threaded their way through a jigsaw maze of wild walls, doors and stairways flying or gliding out of the way, then back into place, ballroom mirrors rotating out and back, in a long fluid motion like the workings of an ornate Swiss clock. All worth it; when George Schaefer and a few other RKO suits were shown about an hour of the work in progress (including, not incidentally, a couple of Agnes Moorehead’s most electrifying scenes), he was ecstatic: “I am very happy and proud of our association,” he wired Welles. The Magnificent Ambersons was shaping up to be one of the outstanding pictures of the year. Almost exactly halfway through shooting on Ambersons came the Japanese attack on Pearl Harbor, changing everything. It changed the fate of The Magnificent Amberson, too, because in the wake of America’s entry into the war, the U.S. State Department was about to make Orson Welles an offer he couldn’t refuse. The wait for Part 2 has been excruciating, but I knew it would be worth it. Fascinating background on such a compelling drama. Very informative–so much to know about the background of this film. Look forward to reading Part 3. Thanks, CW and Kim, for your kind words — and your patience! Dorian: Oho, you want behind-the-scenes drama? Just wait till next time! Thanks for the link; I knew Ambersons was finally out on DVD, of course; I got it as a supplement to the deluxe Blu-ray of Citizen Kane. In fact, I originally planned this post to coincide with the release — and that was September 13! Honestly, I had no idea the can of worms I was opening; the back story of Ambersons is much more nuanced than the "mutilated masterpiece" legend, and frankly, I'm not sure how many more Parts it'll take me to get to the bottom of it — but by golly, I'm gonna try. Thanks for hanging in there, all of you! Ave Atque Vale, Fairy Princess! "Don't Stay Away Too Long..."
Say, What Ever Happened to Carman Barnes? "Who Is the Tall Dark Stranger There..."
Jim Lane's Cinedrome, ©2016. All rights reserved. All textual content Copyright © date of posting by Jim Lane. is given to Jim Lane and Jim Lane's Cinedrome with appropriate and specific direction to the original content.